Do you want to write online? Want to take advantage of the lost time to create something unique for your blog? Here are a handful of applications to write posts, articles, books and anything you want. Do you need an app to write on the blog? I could work without it. Usually I try to bet on my MacBook Air when I’m traveling, in the office the faithful iMac helps me. But these companions of a thousand adventures leave the step to the smartphone when the movements become challenging. These are situations that you cannot ignore, or at least I cannot. Do you wonder how to become a productive blogger? Do you want to increase the number of articles to be included in the editorial calendar? Come on, you hide behind the screen of quality content and history that is better to publish little but well. Often it is the practical resources that are missing. How long does it take to write an article? It is not easy if you want to publish something memorable. But everything becomes easier if you can optimize the time. For this you need the best apps to write blog articles. 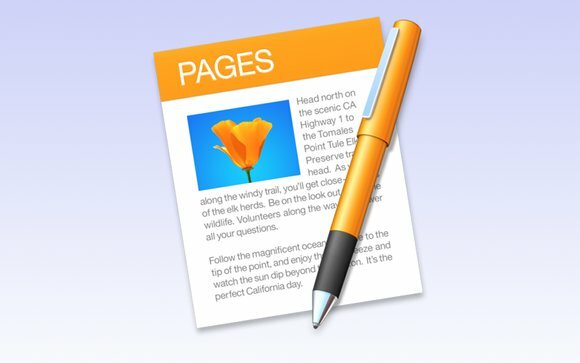 App to write: Free or Paid? 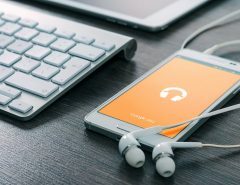 Before starting with my personal list of apps to write with smartphones and tablets answer the question: better for free or paid? The truth is simple, if you just have to throw text on a digital carat sheet you can go without problems with the free solutions. Maybe with a default notepad on the phone. If you want to go further, if you are looking for advanced features, you cannot settle and you have to bet on paid applications. But then what does that mean? Few euros, just a small investment to get something more and work better. 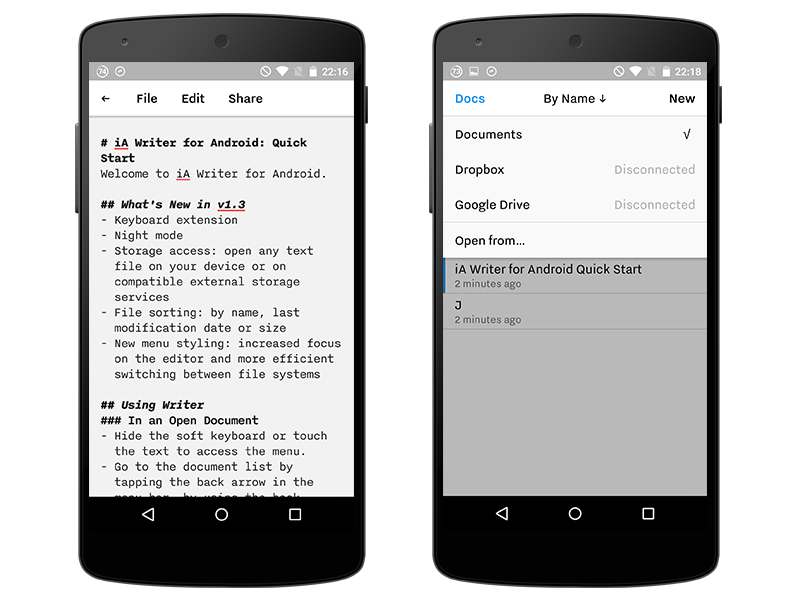 Now, here are the ones I prefer: here you will find the best Android and iOS apps to write. 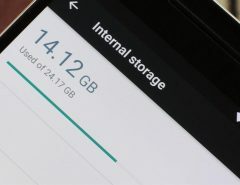 I want to start with a great app for smartphones and tablets: Google Drive, a perfect reality for Android and iOS that combines several advantages. First you can get a free space to store your documents. Then you have an office suite to create and organize everything. Obviously also text files. 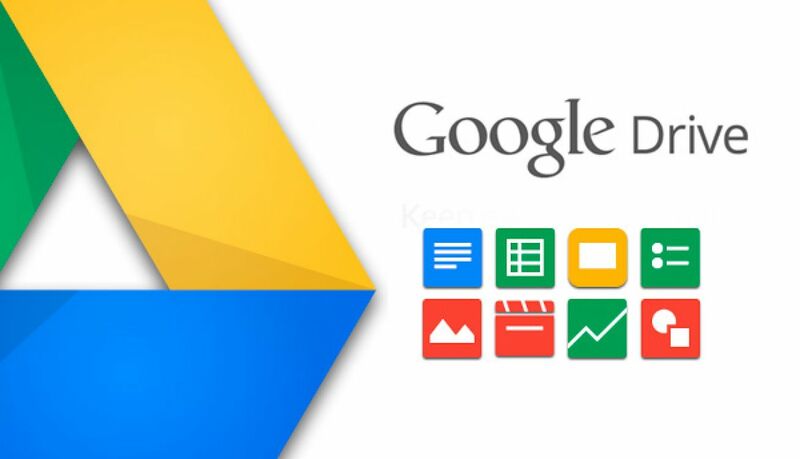 With Google Drive you can easily write, just have the Docs extension to create and edit documents. Even offline, you do not need Wi-Fi to work. So it’s a perfect formula, I do not need anything else: this is the best app to write. 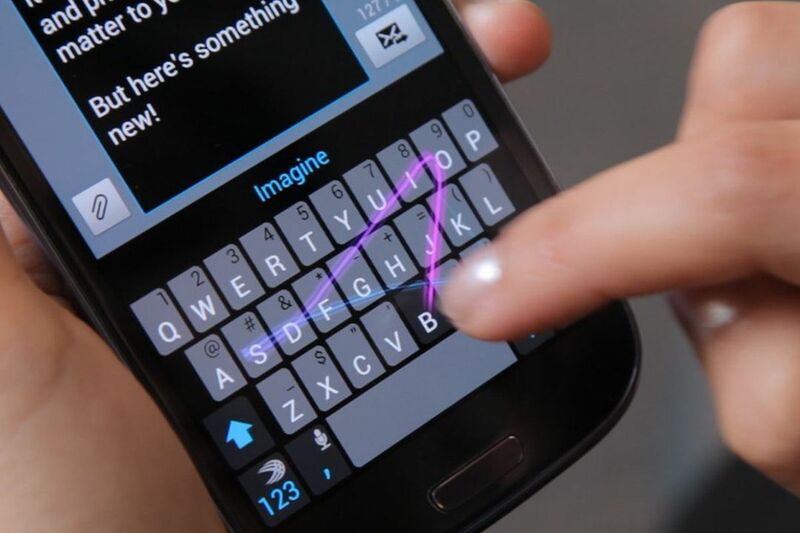 Writing on smartphones and tablets need a keyboard worthy of the name. Often the basic keyboard is not the best, so I always recommend Swiftkey: a special keyboard that allows you to save several beats because the suggestions are well thought out. There is a perfect application for those who only need to take notes on the fly, and do not need large infrastructures to write. It’s called Google Keep, a sort of virtual notebook. The advantage of this solution? Store everything in your Google account and offer dozens of solutions (drawing, voice notes, to-do lists) to simplify writing. The app is available for Android and Apple devices. The second app to write is, in reality, a wide and varied solution: I’m talking about Evernote, the answer to those who want to remember everything. 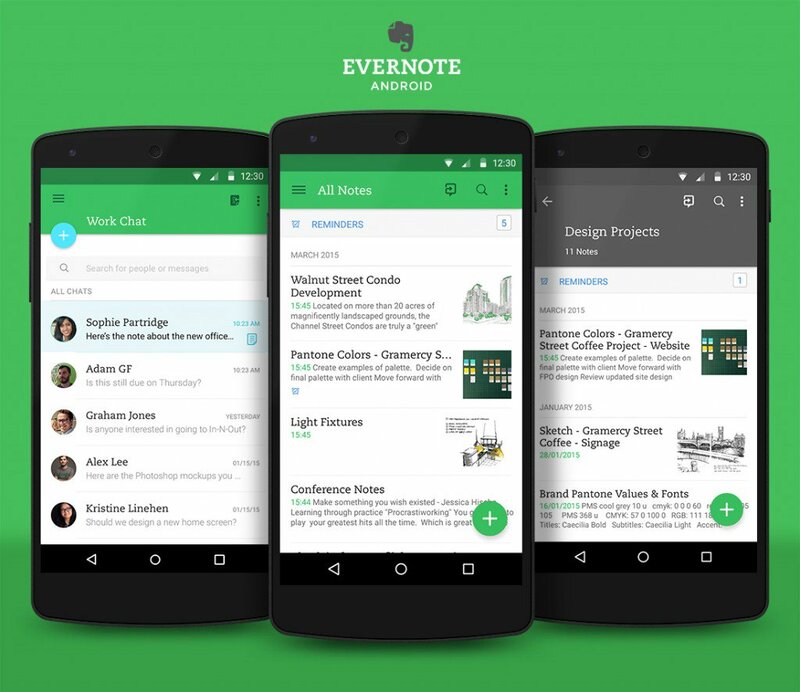 Evernote, in fact, is an application for smartphones, tablets and computers that offers a series of notebooks in which you can record and archive all your notes. Each topic has its own virtual notebook and here you can collect photos, clippings of web pages, voice notes and documents in which to write your articles. It is actually one of the best apps to write because it allows you to contextualize: are you writing a post about inbound marketing? In one place you have everything you need, the notes you collect around, the official sources, and the text. I have indicated how to speed up writing, and I explained that I am often writing articles starting from a vocal dictation. 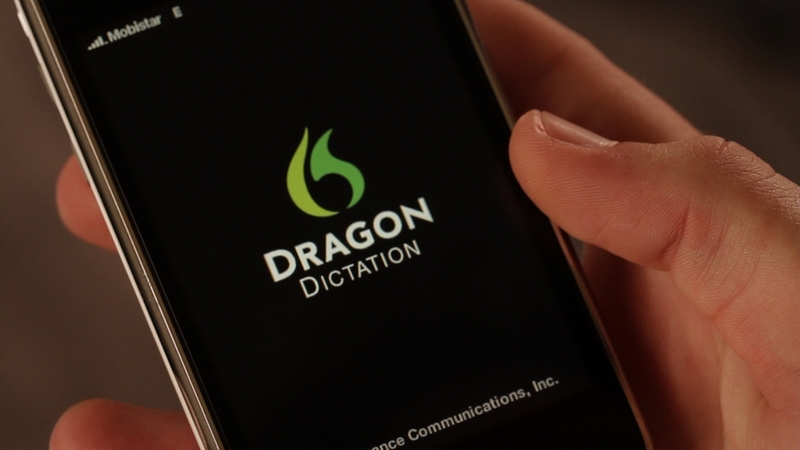 I’m trying out different apps, one of the best is Dragon Dictation: it speeds up the process that transforms the voice into text, and makes blogging even easier. I know, vocal dictation does not replace writing, but is a good starting point. Having to choose a professional app to write with iPad, iPhone, Android and other devices I choose iA Writer. Even the others are excellent, do not misunderstand me, but iA Writer has a difficult advantage to emulate: simplicity combined with completeness. Nothing is missing, but it is not seen. Among the essential features: allows you to export the document in Word, PDF or HTML file, offers the night mode to write even when the light is low and a markdown system to format the rest without leaving the keyboard. Plus you have sync with storage services. With iA Writer you can update the text and find it anywhere. You can use this app to write distraction free on iOs, Macs and Android. So on smartphones, tablets and computers. Write or Die is an application for writing. Not only that, it is also a remedy to defeat the writer’s block. The tool in question not only offers a text editor, but also a series of stimuli to stimulate creativity. You can set a number of words to be reached in a time, so you can keep the schedule and work on the continuity of your work. Everyone wants to write a book, but time is never enough. That’s why you have to use the piece of furniture and take advantage of all the cut-outs: in this way you can achieve great results without losing constancy. 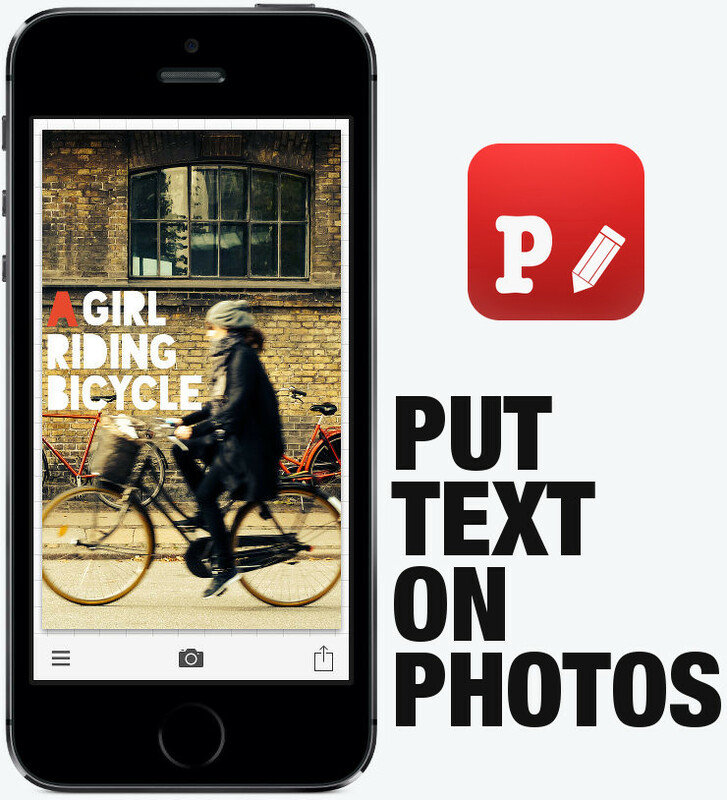 Do you know an app to write a book on smartphones or tablets? It’s called Scriverner and it’s spectacular. This is not a simple text editor. 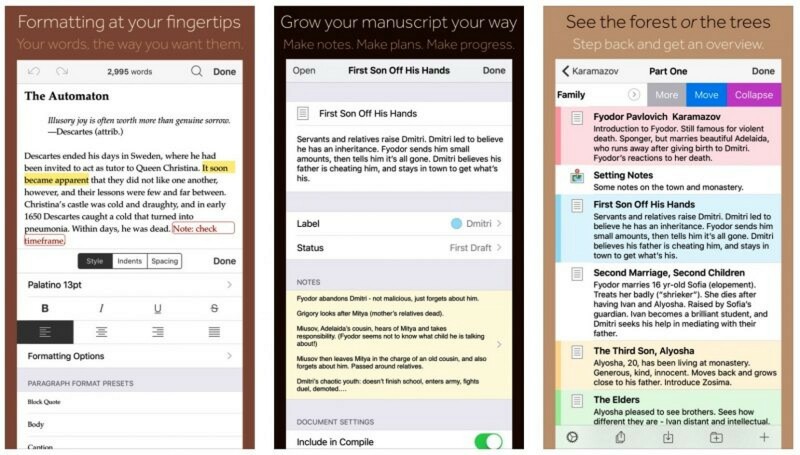 This application organizes the documents, arranges chapters and paragraphs: the workflow that scares you so much finds its own rule thanks to Scriverner, a true software for writers. This app is paid but worth its price. Do not just write two blocks of digital paper, even visual can become a basis for your words. 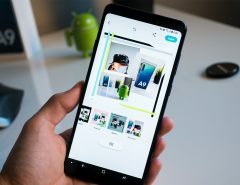 That’s why it’s right to mention one of the best applications to write on photos: I’m talking about Phon.to, a complete suite to turn images of your blog into a communication code. There are several applications to write on the photos, but this contains all the tools to get great results. Remember that visual is essential for capturing public attention: decorating images, but above all choosing quality photos. When you do blogging this step is essential. Among the thousand apps to write on the iPad I also recommend the starting point, the one we already know. Today you can download Word for all devices, you can also choose Pages for iPad and iPhone. And I do not deny that I use this software often, it’s simple and clean. Just like I like it. In short, often the classic is what you need for your work of web writing. About classic, but why not also mention WordPress? I actually do not recommend writing your own articles from the blogging application. In a situation with a rickety connection it is better to work locally. And then the WordPress editor on a small screen is not the best: it can be fine for small changes, not to write large amounts of text. Now it’s your point. Which app do you use to write your best article? Do you prefer a more structured speech like Google Drive, able to fit into a wider context, or something simpler and lighter? Better Word for Android? Or an app to write on the iPad? Leave your opinion in the comments, share the app you use every day and describe your experience.